Babblings of a Mommy: Happy (early) 4th of July..and oh yeah, I almost had a breakdown. Happy (early) 4th of July..and oh yeah, I almost had a breakdown. Anywho, I just wanted to wish you and your families a Happy 4th of July before you start grilling up the BBQ's and lighting up the sparklers. 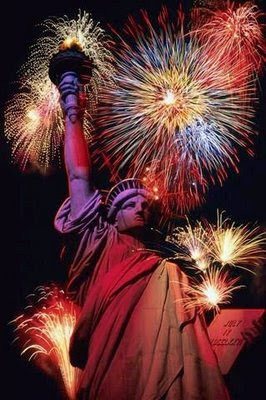 I hope you ladies have a wonderful time celebrating this GREAT country with your loved ones. For the first time I think that we might stay in this weekend. Jason has been working really hard these past few months and he finally gets some time to relax. We might end up going out and seeing some fireworks anyways. Who knows, we'll play it by ear. Enjoy your weekend! And thanks for the welcome on Mommy Bloggers! Good on you for being so glass half full! Happy 4th July from Down Under.